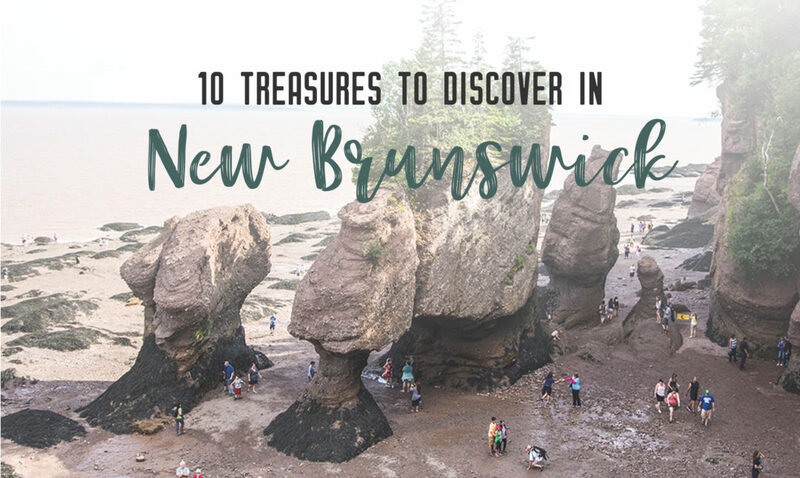 Not only does New Brunswick have wonderful cities to explore, but their coastline, both on the Gulf of the St. Lawrence and on the Bay of Fundy, and incredibly diverse regions. Coming in the front the west, I marvelled at the old Appalachian mountains thick with trees. While in the south, the view over the Bay was incredible. I was lost among the beauty of it all. Here are ten treasures you can discover in Canada’s only officially bilingual province. Of course, that relaxation included some hiking. 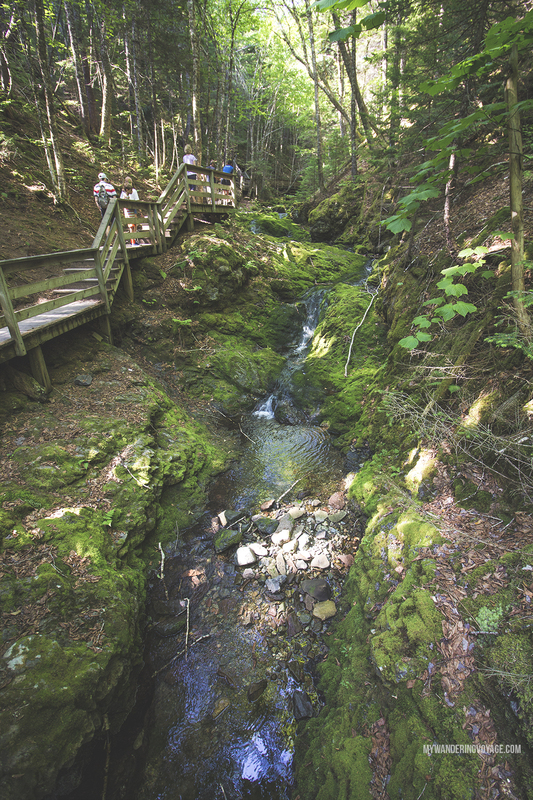 There are countless trails to hike in Fundy National Park, ranging in difficulties. Head into the park for the beautiful waterfalls or take to the coast to walk along the rocky beach. The most quintessential trail to hike in Fundy National Park is Dickson Falls Trail. This moderate 1.5km loop leads to the most photographed waterfall in the park. First, you head down into the forest valley and along the creek to Dickson Falls. Then you climb the stair back out of the gorge. 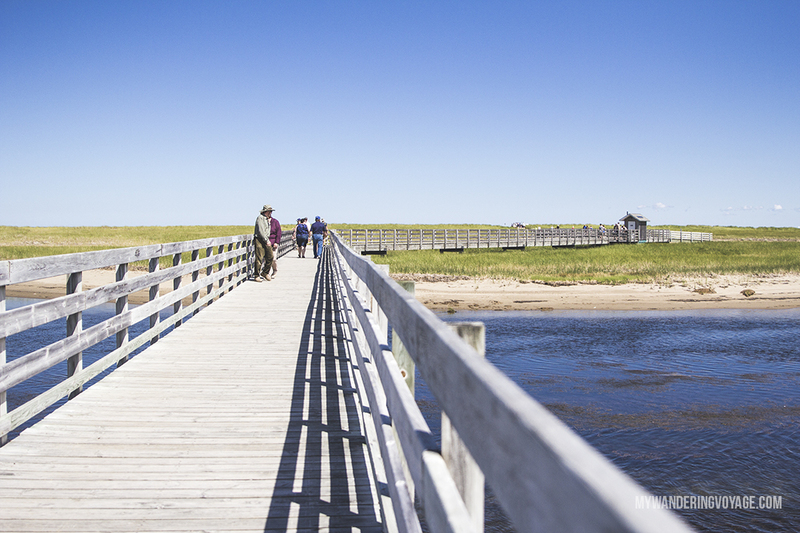 Take a walk on the ocean floor, at the most photogenic place in New Brunswick. I don’t think there is anywhere in the world, quite like the Bay of Fundy. The tides measure 15 metres – that’s almost as tall as the Hollywood sign. 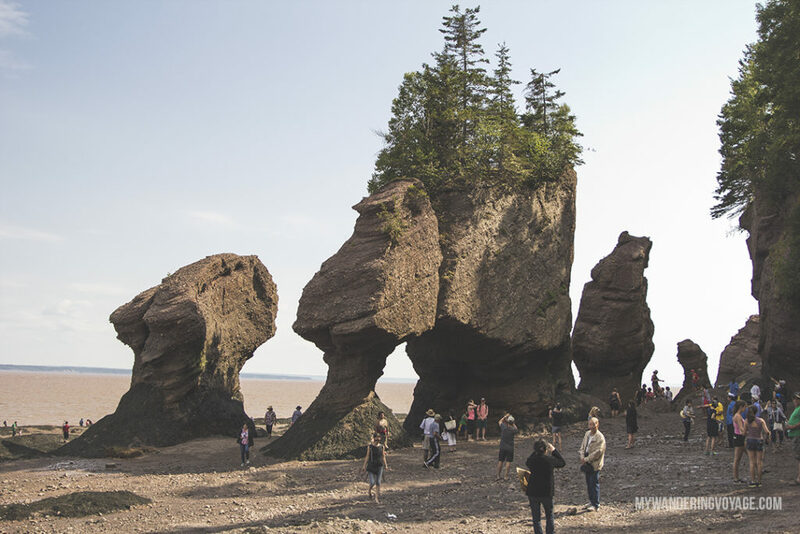 Hopewell Rocks is the best place to discover the power of the tides. You can walk along the ocean and take in the famous rock structures that time and tides have carved away. Can you spot the elephant or the dinosaur or even ET? The seaside town of Saint Andrews is a charming vacation destination. It was voted best destination in Canada in 2017 by USA Today and has won many accolades over the years. It’s ranked one of the prettiest in my books. 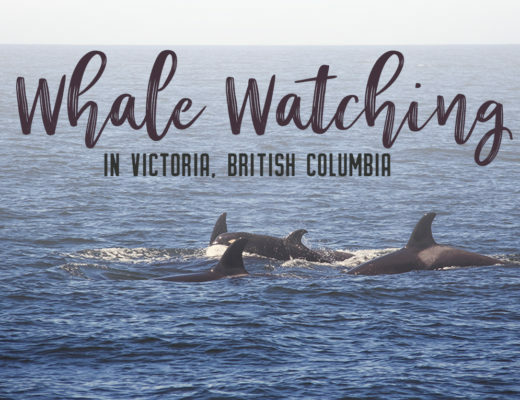 It’s a picturesque town and the jumping off point for many whale watchers and scuba divers. Take in the Pendlebury Lighthouse, the Kingsbrae Gardens, the blockhouse or just wander through the town’s historic centre. Saint John is Canada’s oldest incorporated city. 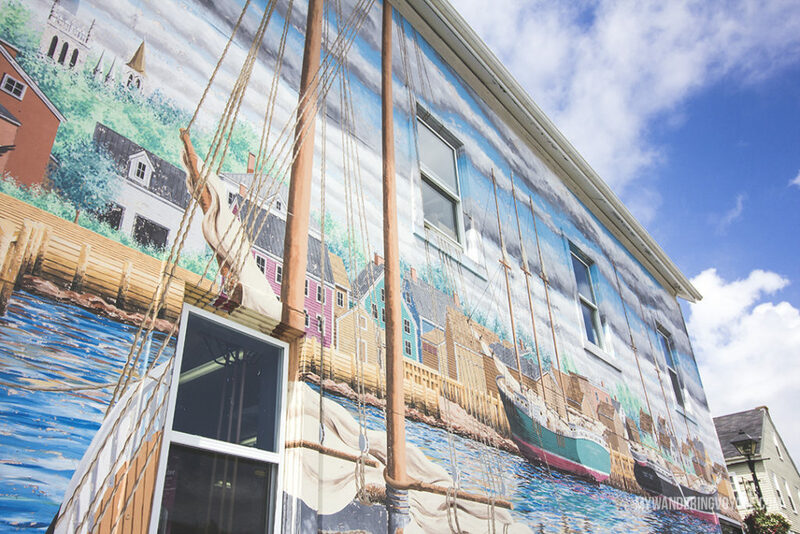 Situated near the mouth of the Bay of Fundy, this historic city has many “firsts.” It had the first chartered bank, oldest public high school, first penny newspaper, first public museum, first labour union, first public playground and more. This city is full of rich Canadian and American history, and many loyalists escaped the American Revolution. 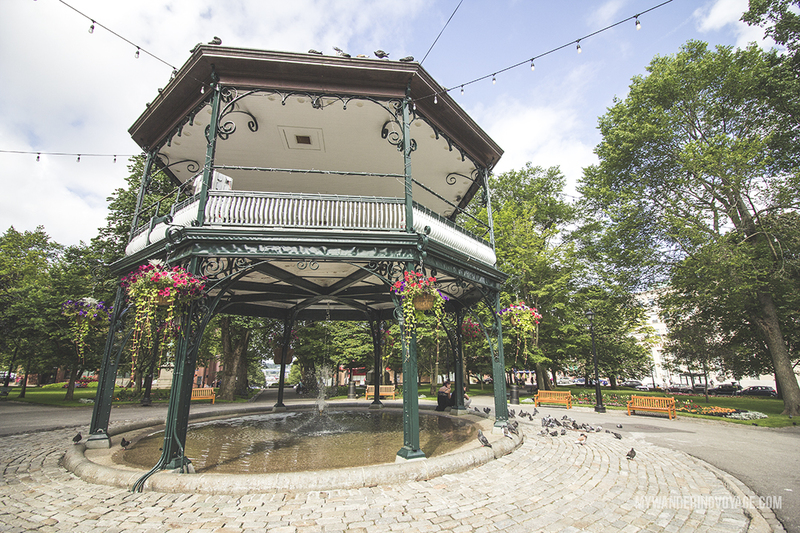 Take in the historic buildings, become a soldier at Carleton Martello Tower, and explore Canada’s oldest continuing farmer’s market Saint John city market. This national park is situated along New Brunswick’s eastern Acadian coast. Here, forests turn to marshes, which turn to beaches in this fascinating mix of natural and cultural history. It’s easy to get caught up in the sunshine and sand and waste away your day lounging on the beach. During Canada’s 150th all national parks and historic sites are free, so now is the perfect time to go. 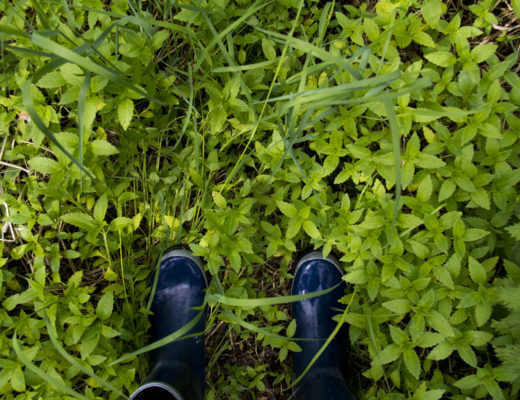 My road trip through Canada’s Maritimes was a mix of nature and cities, and after two days in bustling Halifax, I wanted to relax in nature. 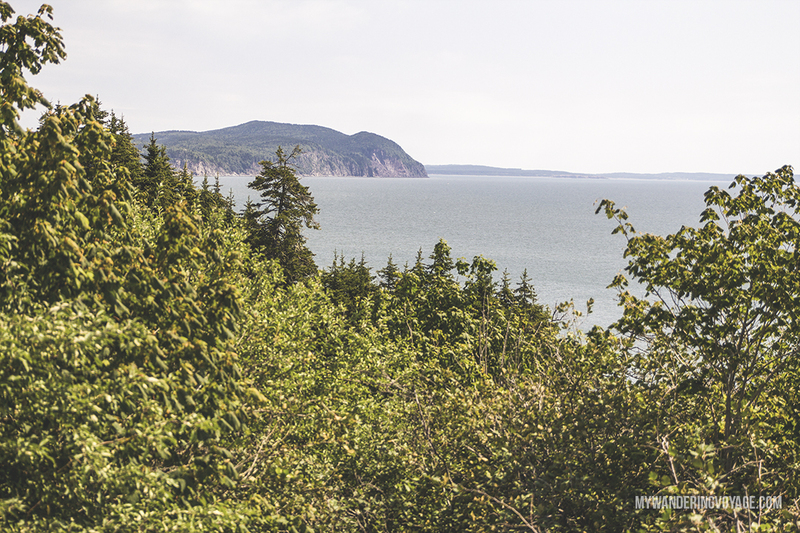 There was no better place to do that than in Fundy National Park. 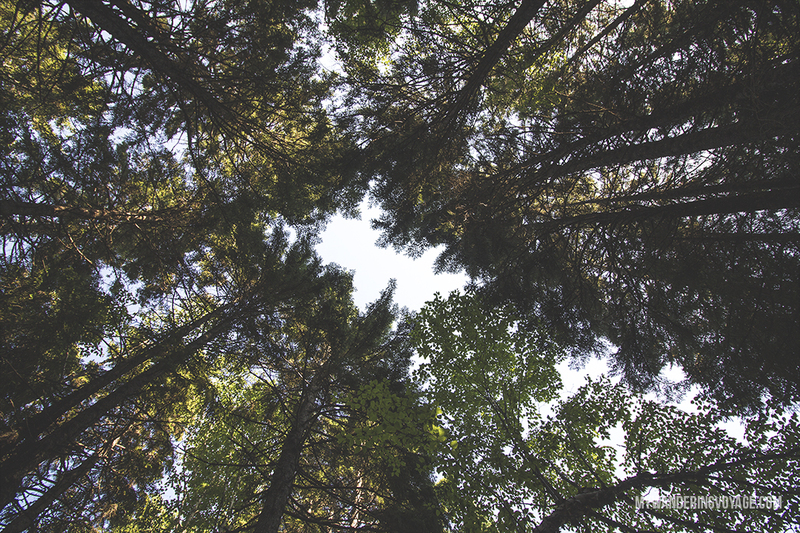 Here, you can experience the world’s highest tides as well as the beauty of New Brunswick’s forests. Camping here was such a delight, in the middle of the forest with barely any cell signal. My idea of perfection. New Brunswick boasts some of the most scenic drives. The best part is they are easily marked. Follow the red and white star sign to explore the Acadian culture on the Acadian Coastal drive. 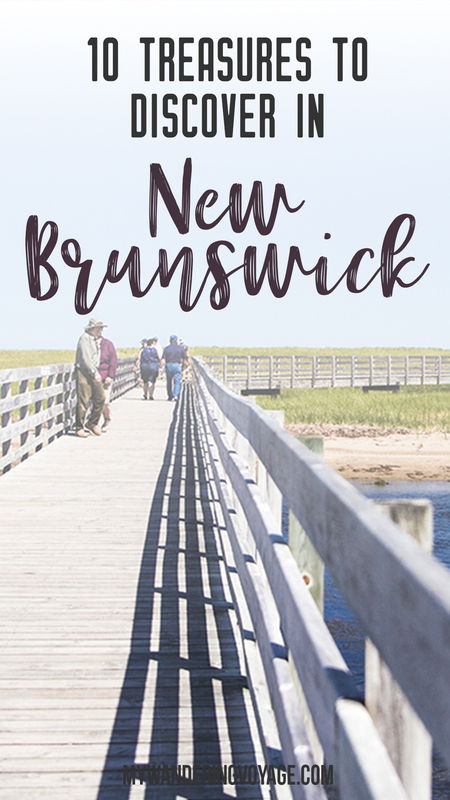 Along the way, you’ll stop at Memramcook, the Cradle of Acadie as well as Moncton, Dieppe, Miramichi and other coastal towns. Finally, check out the Acadian Peninsula where you can stop and take in the coastal charm of the area. There are over 50 covered bridges in New Brunswick. 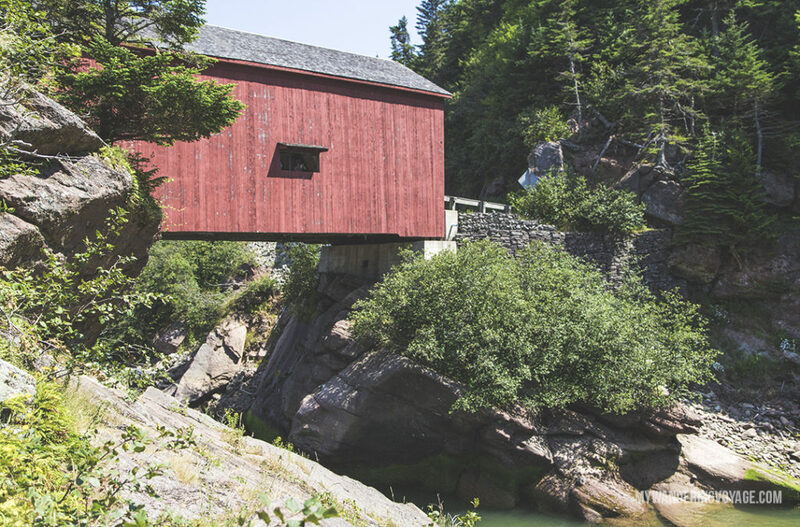 The longest covered bridge in the world is the Hartland Bridge in Kings County, which is known as the Covered Bridge Capital of Atlantic Canada. There’s something special about covered bridges. It almost brings you back to simpler times. There’s one right in Fundy National Park. Built in 1922, the Point Wolfe covered bridge was used back in the logging days. 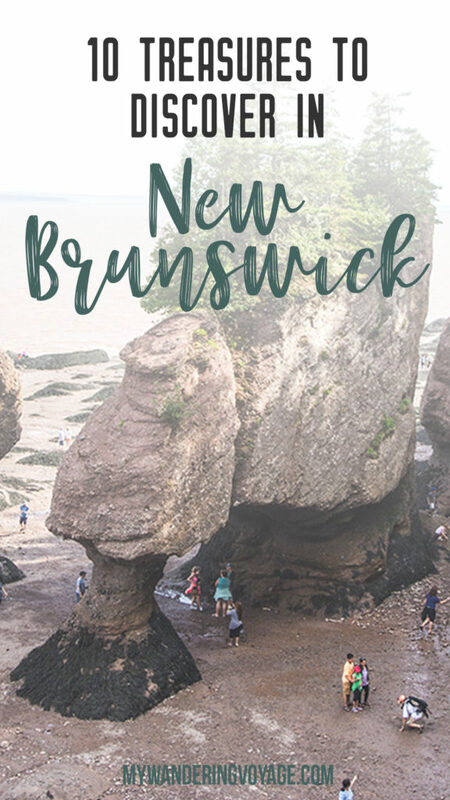 One of the more well-known road trips, the drive along the Fundy Coast is an iconic experience for any New Brunswick visitor. Follow the blue and white lighthouse sign to take on New Brunswick’s southern shore. From the beginning of the Bay of Fundy to the US border in Maine, you’ll drive passed rugged coastline. Must see places along this route is Fundy National Park, Cape Enrage, Saint John, and the Fundy Isles. 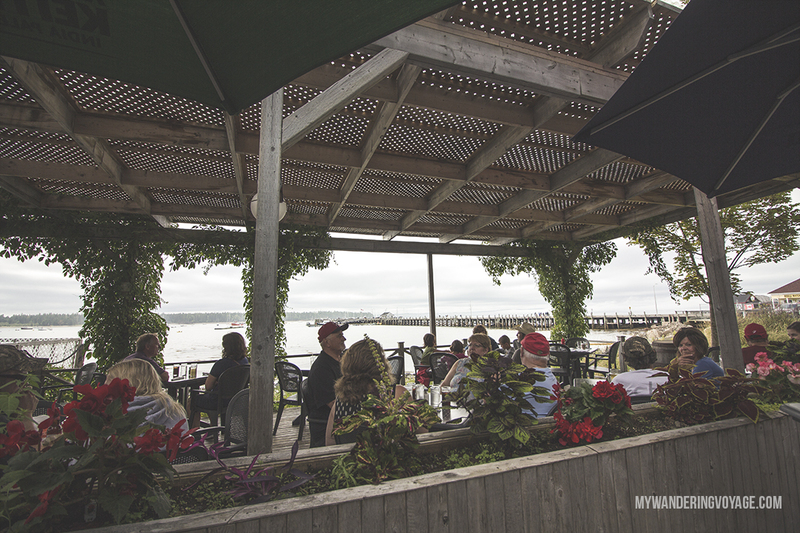 Is there anything better than enjoying fresh seafood in a seaside town? I don’t think so. From the classic fish and chips to fresh lobster, clams, scallops and more, Saint Andrews knows seafood. Wander through the downtown and pick your fancy at one of the many seafood eateries here. 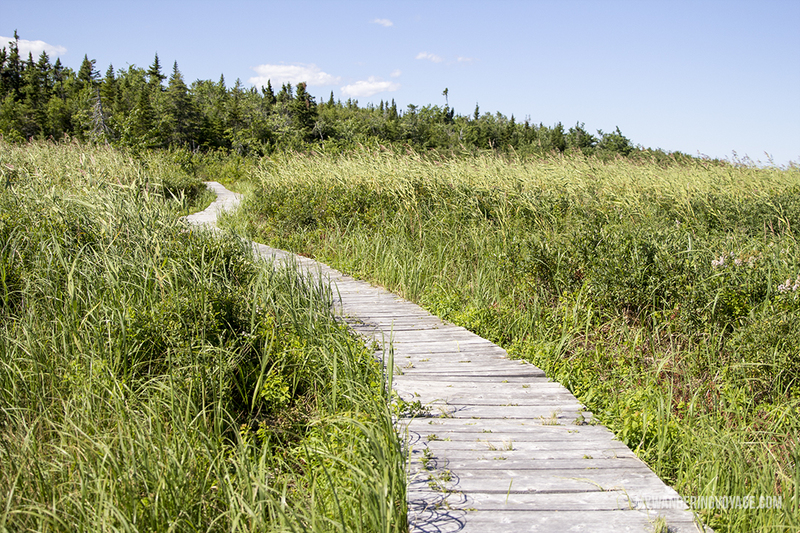 Would you rather chase waterfalls in Fundy National Park or wade in the calm waters of Kouchibouguac National Park? Why?